February 9, 1935 - May 12, 2018: Julia, alongside her husband, devoted her life as a homemaker, wife, mother and grandmother. 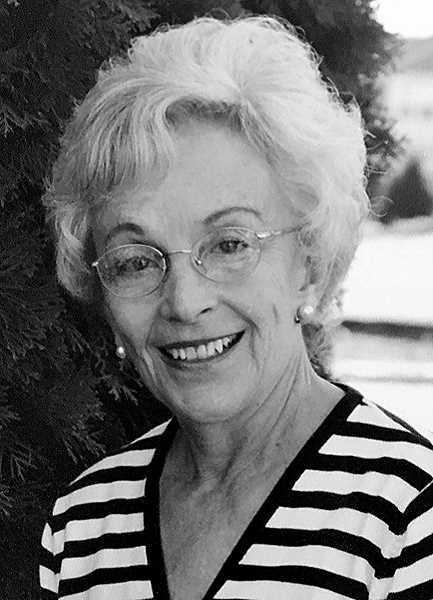 Julia Campbell Nelson, age 83, passed away peacefully in her home in Woodburn, Oregon on Saturday, May 12, 2018. Julia, the second of four children, was born February 9, 1935 to parents Donald Ira Campbell and Florence Balliff Campbell. Her siblings include Clejo Knight, Sue Creamer, and Clark Campbell. Julia married Jay Gerald Nelson in the Salt Lake Temple on August 29, 1955. Five children blessed their home: Kriss (Keith Woodley), Brent Jay (Cheryl Ellingson), Linda (Clark Blunderer), Diane (Lance Youd), and Todd (Lisa Nation). Grandma to thirty-one beautiful, devoted grandchildren and forty- three absolutely darling great grandchildren Julia, alongside her husband, Dr. Jay Nelson devoted her life as a homemaker, wife, mother and grandmother. Her fierce commitment to her faith, family, and God are evident in the lives of her children and their children and all whose lives have been touched by hers.